Observation - Wildflower Lords & Ladies - UK and Ireland. 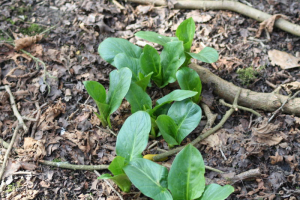 Description: Early new growth of wild flower in the field layer of Lodge Coppice, Hatfield Forest. It will flower in April/May. Early new growth of wild flower in the field layer of Lodge Coppice, Hatfield Forest. It will flower in April/May.